All wood lamp made by the American firm of Strombecker enameled with a silver base and light green shade. The lamp is pictured on a Strombecker tilt-top table (sold separately) to show the great size, which is 1 5/8" high. Beautiful condition. 1930's. 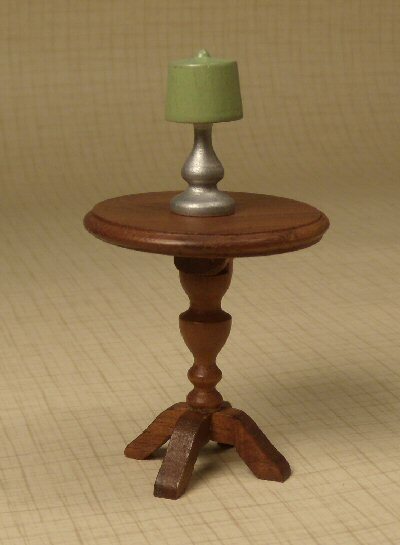 I am interested in purchasing Strombecker Green and Silver Table Lamp with Green Shade.